Blue Mountain Ontario is known to be one of the most breathtaking destinations in Canada. Regardless if you are only visiting for a winter holiday like new years or are planning on a longer stay, accommodation should be first in your priority list. 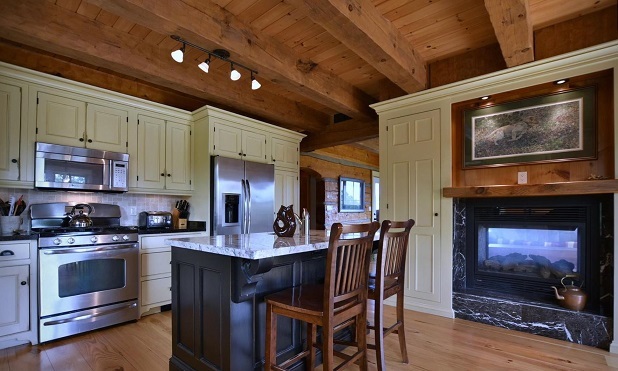 Lucky for you, Blue Mountain Ontario is never short of Luxury Chalet. They are spectacular and will leave you and your family in awe. Even more good news is that, we are willing and able to ease you hassle of finding a cottage for rent. Below is a hint on what to expect from our properties. If you are making the trip with family, friends or as a team; Blue Mountain cottages have got you covered. There are cottages with up to 9 or more bedrooms. There are multi-bathrooms as well. This will ensure that there is room for everyone. There are Townhouses that are spacious, which gives you an edge especially if you have young kids who need space to play around. This is also beneficial for pet owners as well as motor owners because it covers for packing space too. In addition to space, the houses are equipped with everything you need for a stay-in home. These include stocked kitchens, comfortable furniture made from the best quality wood such as Mahogany and entertainment systems. Even fun are the heated outdoor pools, Saunas and Jacuzzi that are typical of Blue Mountain Cottages. There are lots of fun activities you can engage in during your stay. The cottages are strategically positioned close to skiing trails and super pipes so that you can freely ski if you visit during winter. If you are new to skiing, Blue Mountain folks will guide you through it. Sounds alluring doesn't it? Snowmobiling and snowboarding are among other activities that you will relish during your winter stay. In addition to that, the cottages are normally fully fledged. This means that all your furniture, kitchenware and entertainment needs are covered. You basically won't need to shop around for the basic things. More than that is the alluring architecture that most cottages exude. Mahogany-made closets and cabinets, granite countertops and marble floors are some of the things to expect during your stay. You won't find such aesthetics in your average cottage. There is a lot more in store for you such as a fireplace in case you make your trip during winter. The cottages also offer air conditioning and entertainment facilities. Shortly put, you won't feel lonely, even though you're travelling alone. Our chalets are strategically positioned to enable you savor the beauty of nature. For instance, you can take part in bird watching, nature walks, picnics and much more. Are you thinking of visiting Blue Mountain Ontario in Canada, simply contact us today for cottage rentals. We will ensure that you are accommodated in the most sufficient and fully fledged cottages in the region. Our customer services will also leave you nothing but satisfaction. In other words, we will offer you a home away from hom. To book your New Years Chalet Rentals Click here .